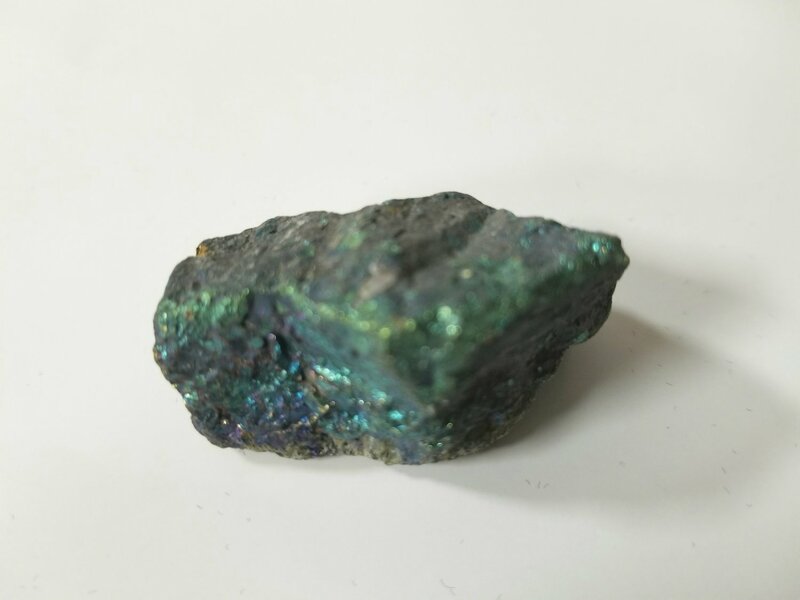 Chalcopyrite is a versatile stone for crystal healing and energy work. It enhances inner knowing, strengthens perception and helps you trust what you see psychically. It is also a protective stone, good for many kinds of protection, including protection from illness. It is also good for Tai Chi, acupressure, acupuncture and other practices that move Chi, because it helps move Chi and break up energy blockages. Physically chalcopyrite is used in crystal healing to align the body's cellular structure, eliminate toxins, promote hair growth, assist with healing bronchitis, other lung disorders, and help heal and protect from highly infectious diseases, fevers and inflammation. May contain copper and sulphur.